Kenya carhire cars, 4x4, camper vehicles, kenya landcruisers for hire, kenya safari vans, shuttles, kenya best carhire rates and discounts. Basic Rental: From US$: 100 / Day. 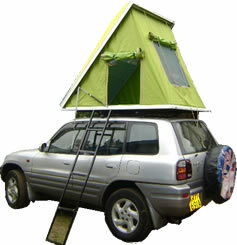 We offer the best Kenya Car rental / carhire leasing in Toyota Rav 4x4 camper with rooftop tent and camping equipments. Basic Rental: From US$: 150 / Day. Basic Rental: From US$: 170 / Day with rooftop tent. Basic Rental: From US$: 125 / Day. Copyright. 2009. All Rights Reserved.